In comparison with the poetic detail in the Rambles in Shakespeareland and the Cotswolds book, each of the glorious wayside rambles descriptions had been reduced to the bare minimum. It was intended for the serious practical walker without the coffee-table sentimentality. 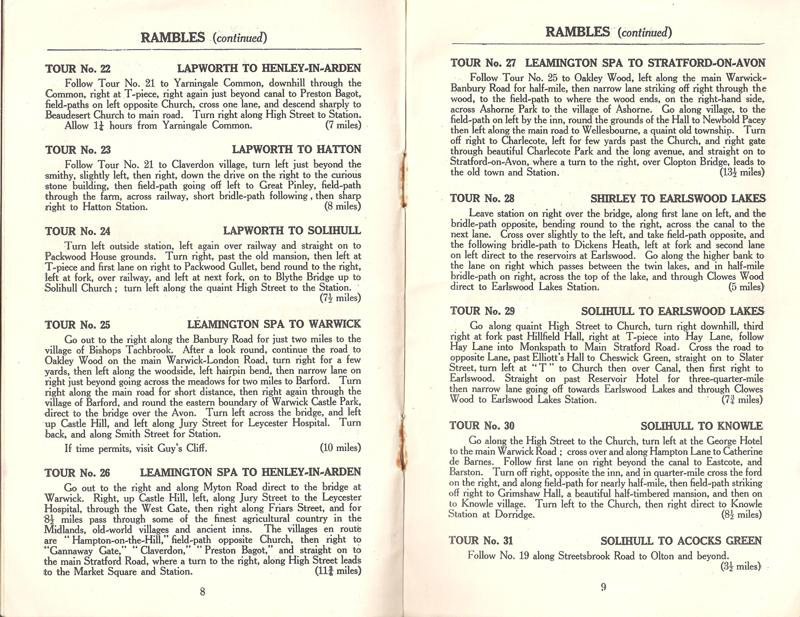 They contained only the basic walk directions with limited detail of the surrounding countryside and no maps. These walks also made more use of the roads, so detested by Hugh Page.